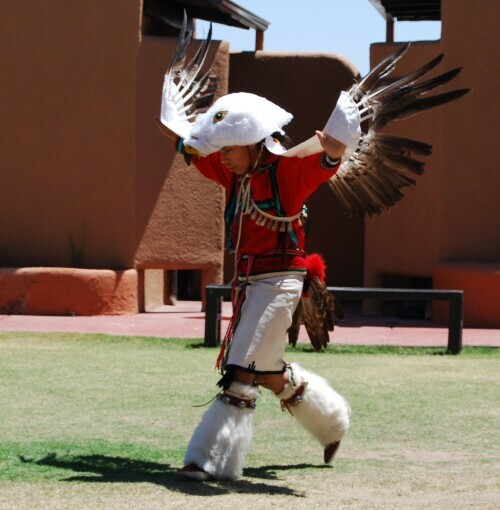 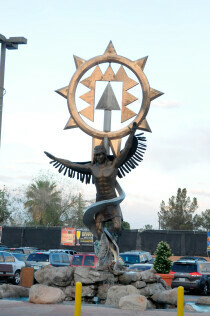 Young tribal member dancing the Eagle dance at the Tigua Cultural Center. 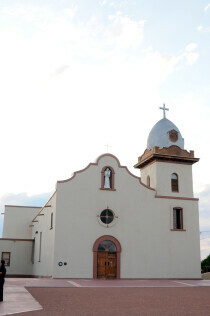 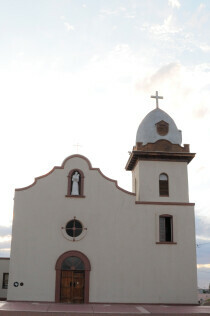 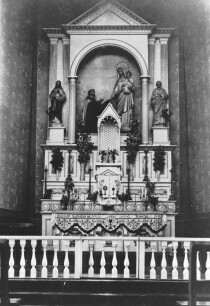 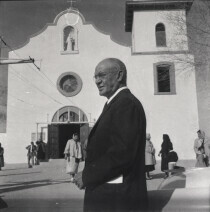 The image shows Cleofas Calleros in front of Ysleta Mission. 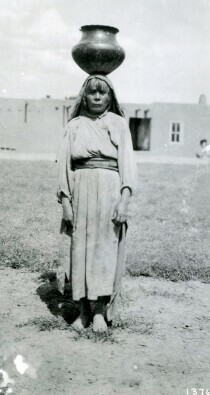 Nestora Piarote was a well know Tigua potter. 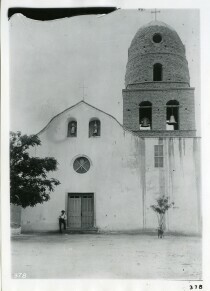 She is standing in front of the Alderete-Candelaria House circa 1885.